"scio" - Latin: know, understand. According to the motto "fac, ut sciam - Let me know". We have been dealing with concepts and training courses in the dental field for many years. 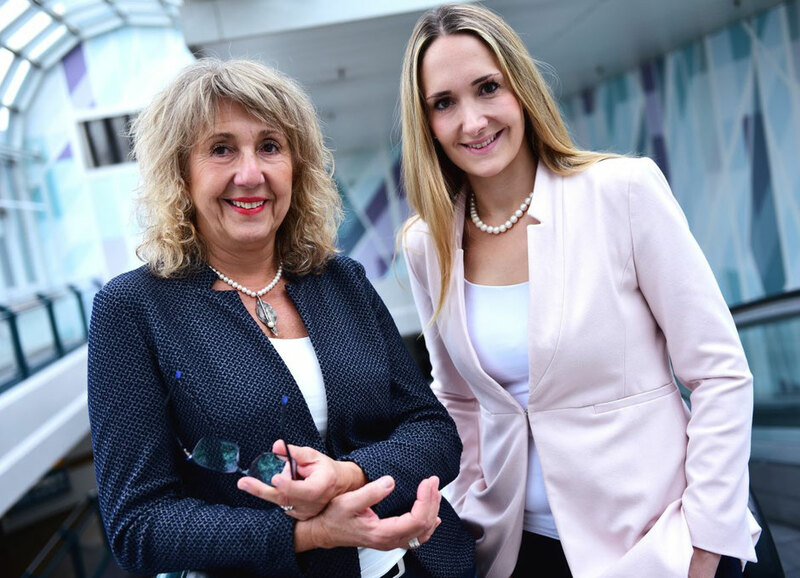 Previously as Zahnfitness Lauterbach, and the sole company of Susanne Lauterbach; the strengths of Susanne and Lisa Lauterbach are now combined and repositioned under the name "ScioDent - Knowledge for the Dentist". Above all, the topic halitosis (Bad Breath) is our focus. Bad Breath? This is a taboo topic, isn't it? We take up this taboo topic and are looking for dental practitioners who would like to participate in the success of our nationwide network of halitosis specialists. We will be happy to advise you individually and introduce you to our unique Plug&Play concept for "Halitosis surgery" or further concepts for your dental practice. Consultant, practical trainer and coach since 2005. Establishment and management of the Bad Breath Therapy Centre in Cologne in 2004. Establishment and management of the Premium Prophylaxis Centre in Cologne in 2001. Susanne Lauterbach has held leading positions in prophylaxis since 1985. She has been working as a dental assistant at ZMF since 1984. Her treatment and training are largely based on her Swedish education. In addition, she cooperates with renowned professors such as Prof. Dr. Filippi (University of Basel), Prof. Dr. Seemann (University of Bern), Dr. Michaelis (Medical Practitioner Düsseldorf). She is an active member of the working group, Halitosis, of the DGZMK. Project manager and key account manager with management experience of up to 20 employees. Strategic development of B2B concepts for renowned international automobile manufacturers as well as analysis, evaluation and optimization of existing concepts and processes. Successful implementation of quality measures and preparation of QM audits. Previously working for PON, a Dutch family business and ALD D GmbH Germany, part of Société General, one of the largest banks in the Eurozone. Studied business administration with a focus on "personnel management" and "marketing". We combine knowledge from different fields, so that a perfect symbiosis of medical and economic knowledge is established. Many years of experience in prophylaxis and halitosis therapy, coupled with experience in the business sector of large companies, enable us to view your dental practice setup from a different perspective. We will be happy to advise you personally on the topics of halitosis surgery, prophylaxis, practice management and communication training. Our approach is always innovative and at the same time practical. One of our main concerns is to involve your entire team so that our concepts and approaches work to their full potential. The satisfaction of the patient is our top priority. After all, it ultimately reflects how successful a dental practice is. There is an excellent range of training courses on the market. We stand out from the crowd. Because we provide a treatment and structure that the patient understands and feels comfortable in. Because without the patient's compliance, even the best dentist is limited!